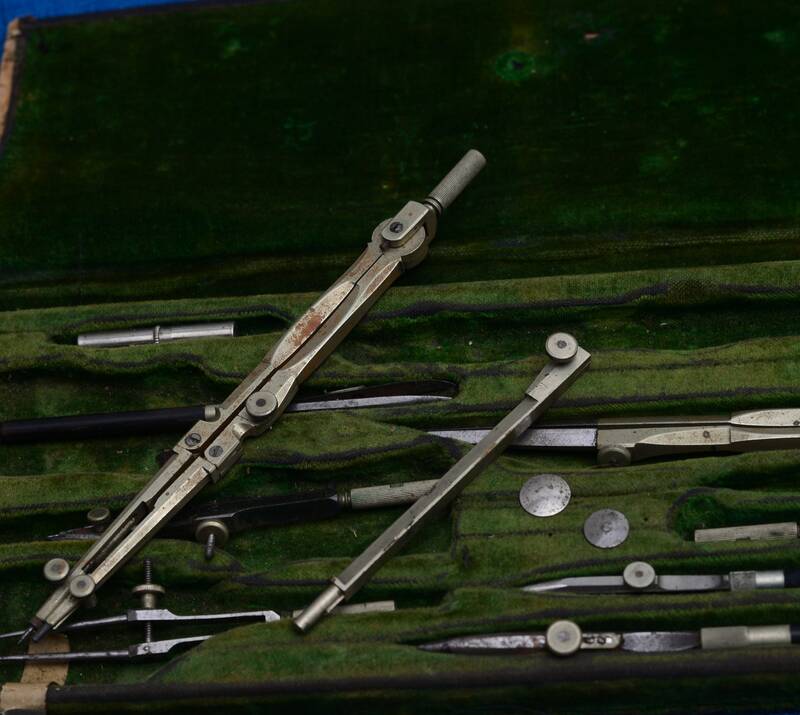 This antique set was well loved the carrying case is coming apart at the back and the green velvet is loose I don't know if all the implements are there but there are a number of pieces as seen. 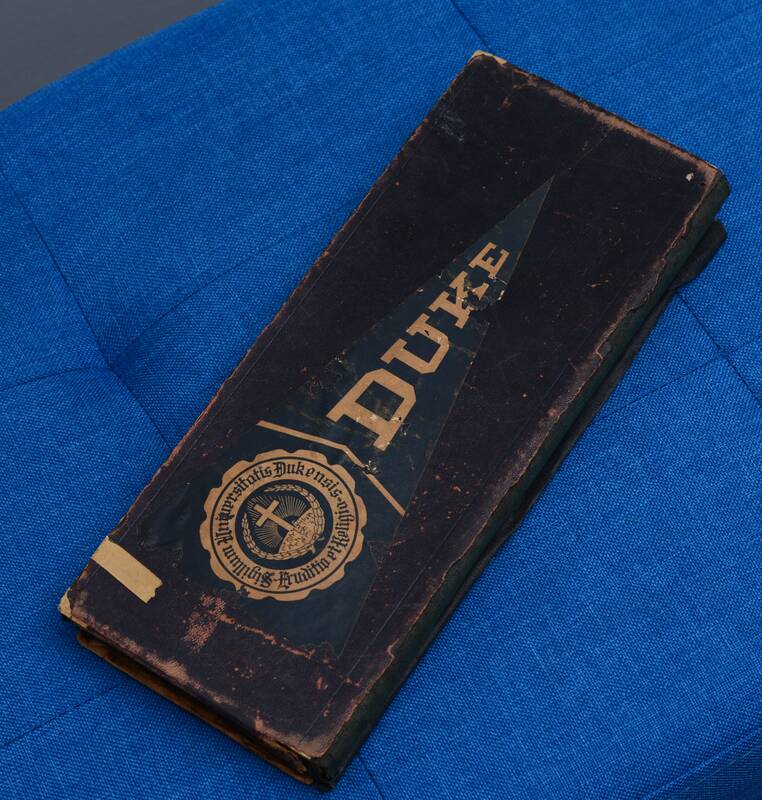 The back side has a very old Duke Penant sticker on it. 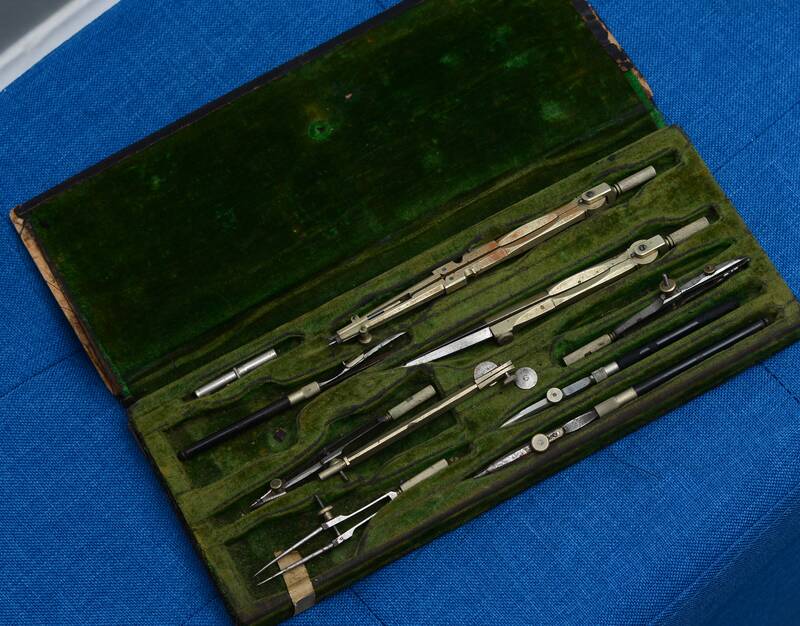 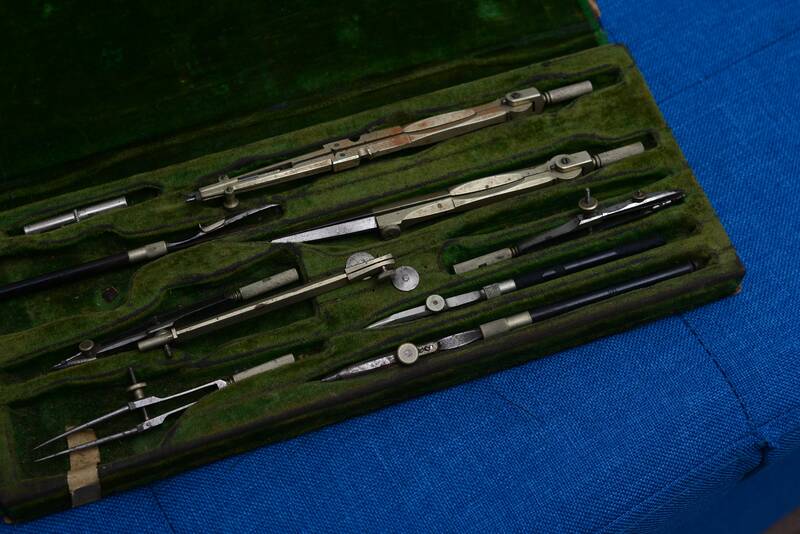 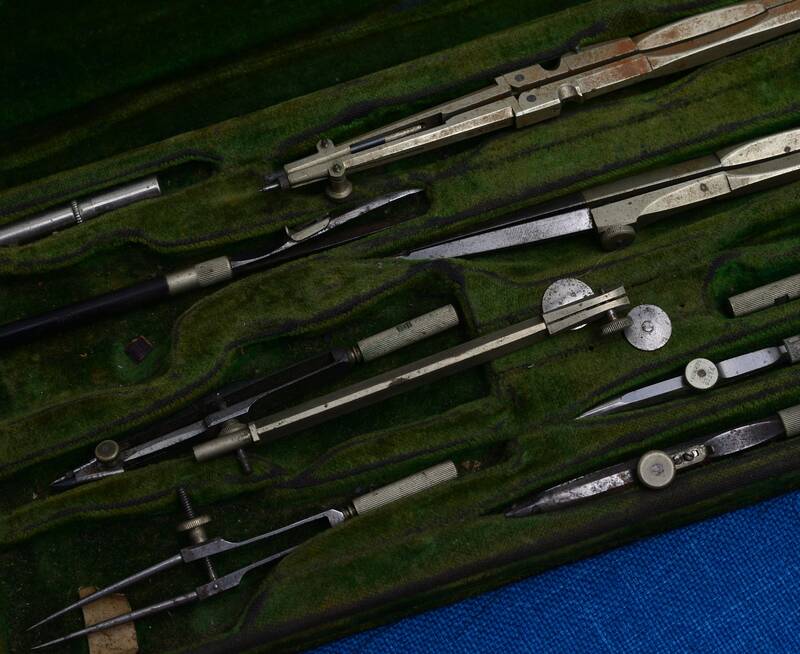 I suppose some drafting student used this through their college career and then it wound up in a family auction box. 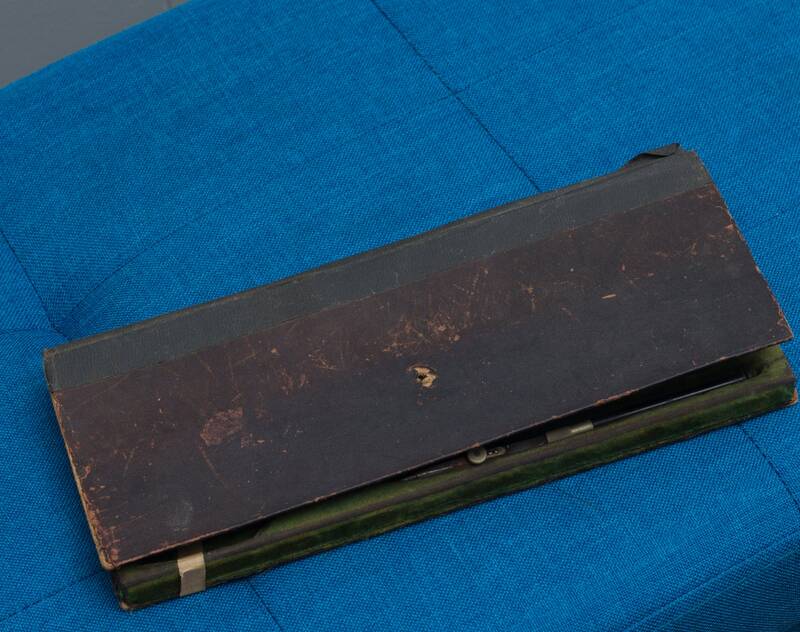 It could be used for replacement parts, or display.